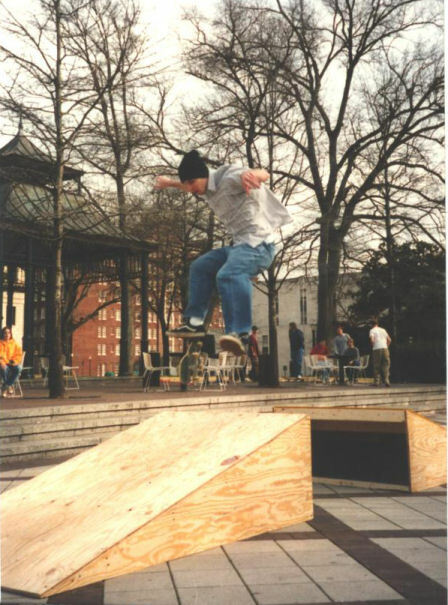 With the disappearance of local ramps, parks and shops (Comp closed around 1993), the Birmingham skaters turned elsewhere. 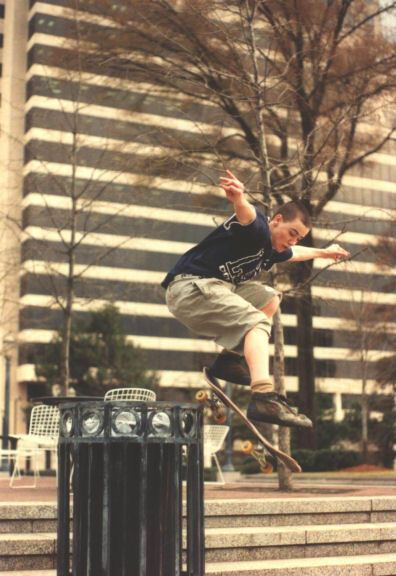 That "elsewhere" was downtown Birmingham. 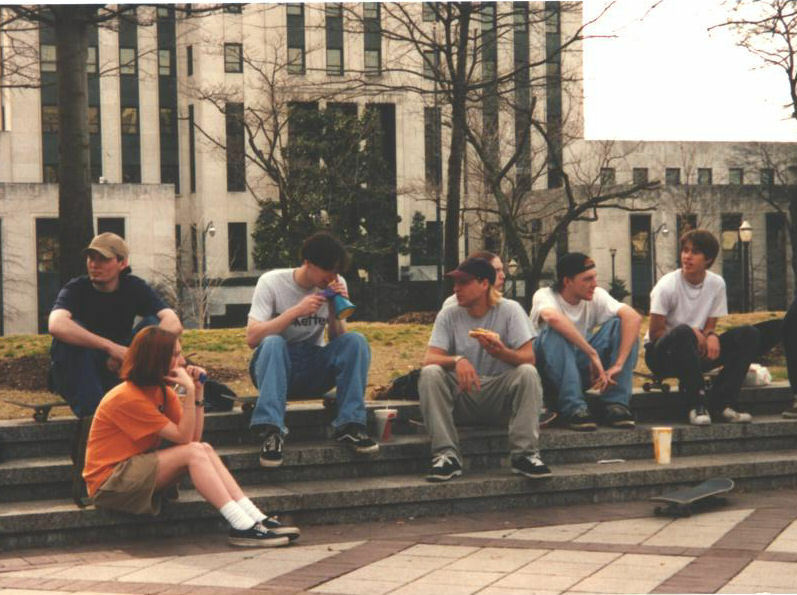 Skaters from surrounding areas would gather at the many parking decks, ledges, curbs and other spots on a regular basis. 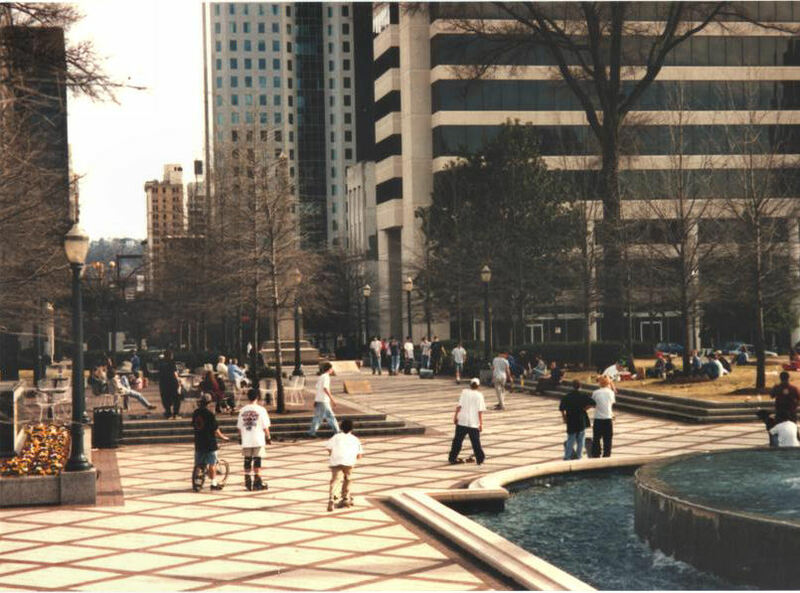 The center of the scene then was Birmingham's Linn Park. 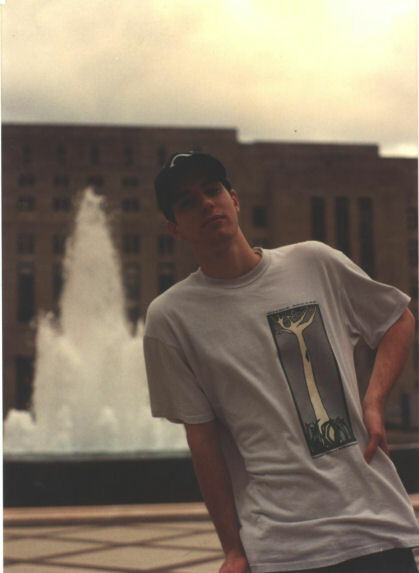 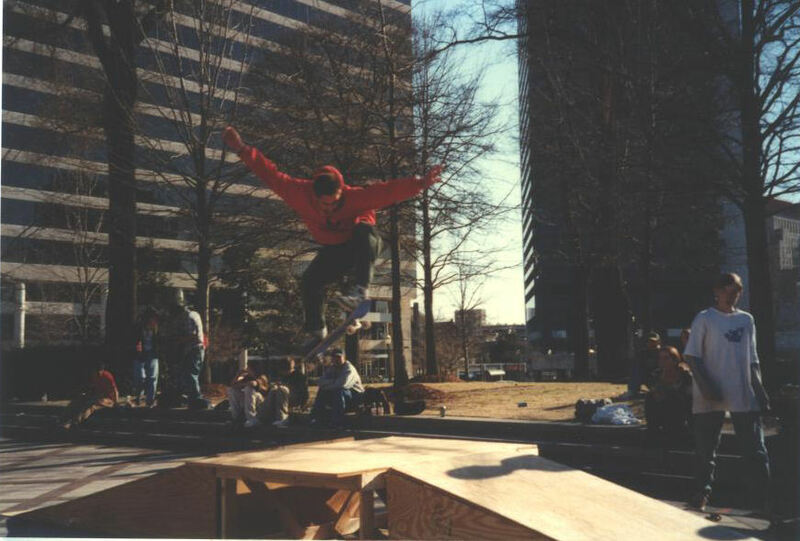 During 1991-1995, Linn Park was the place to be! 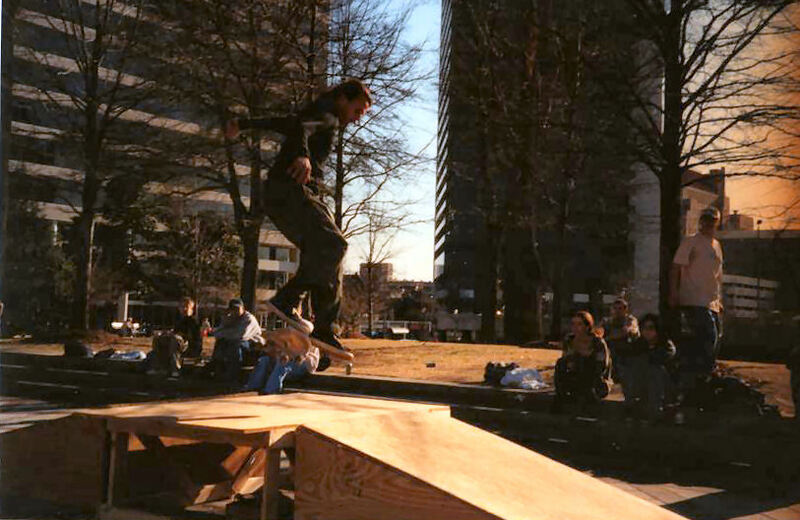 Every weekend was a big session there and the city allowed it for the most part. 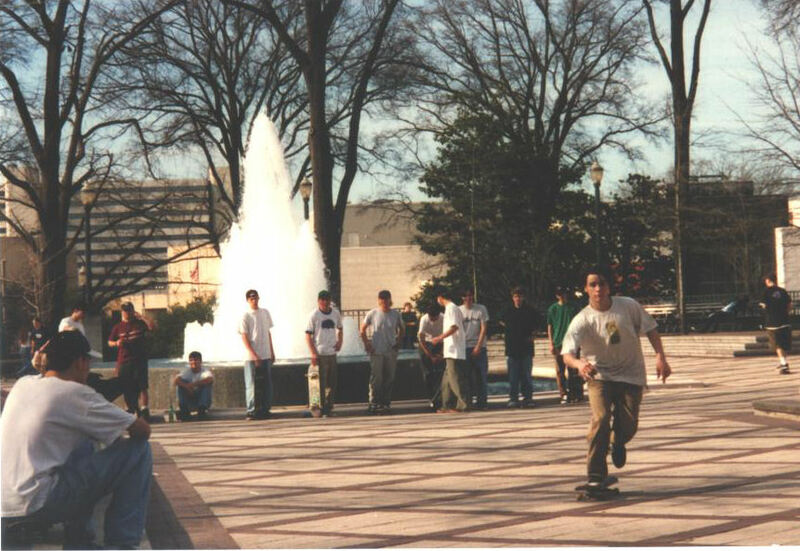 1993 was probably the height of Linn Park's popularity. 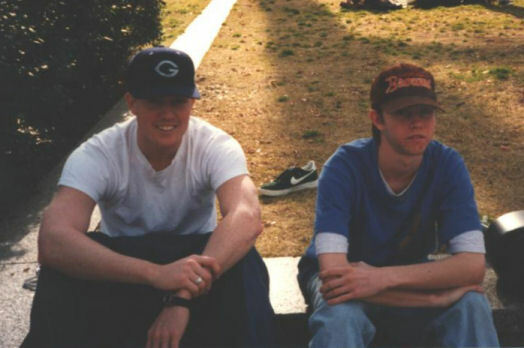 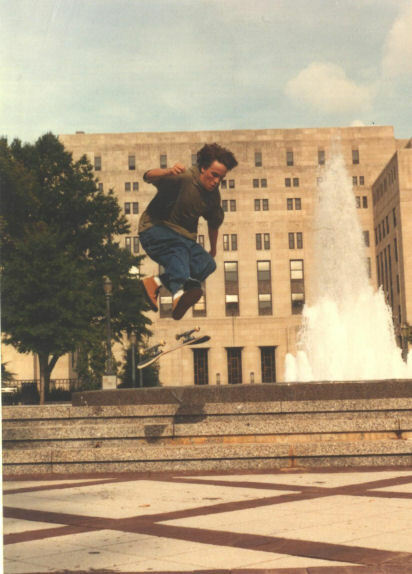 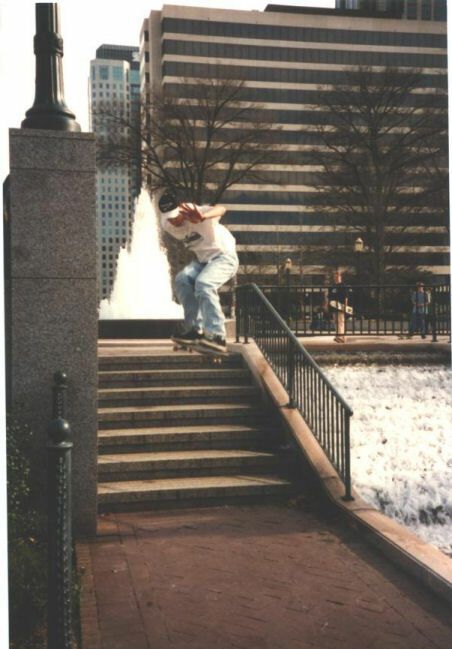 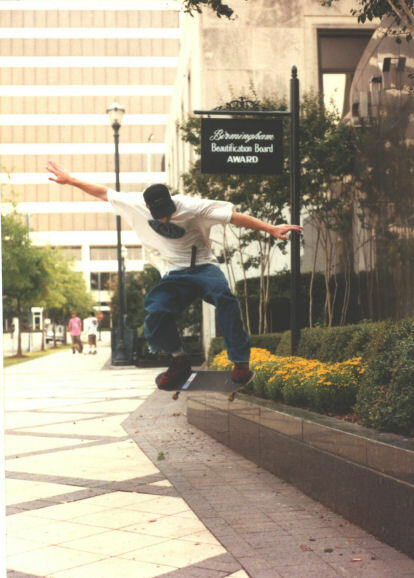 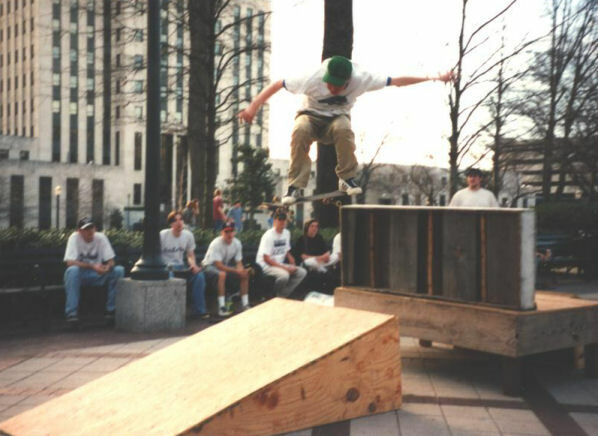 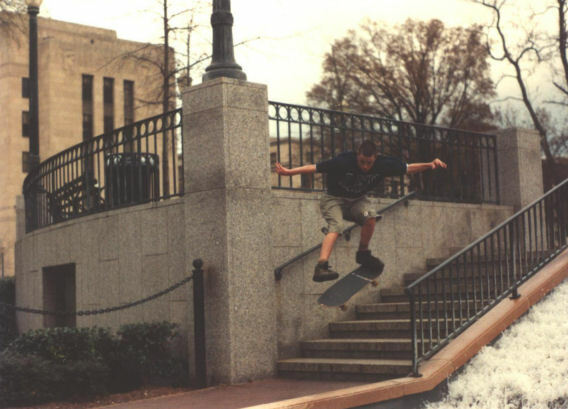 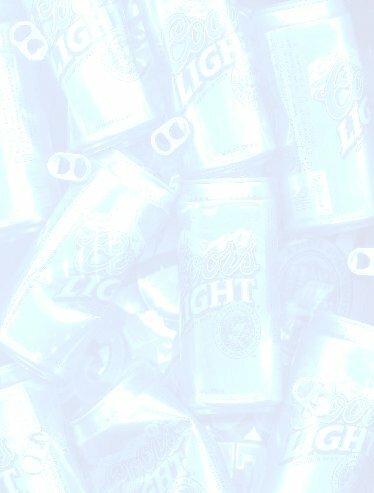 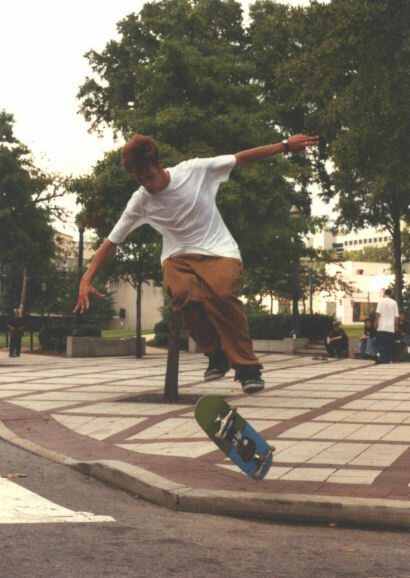 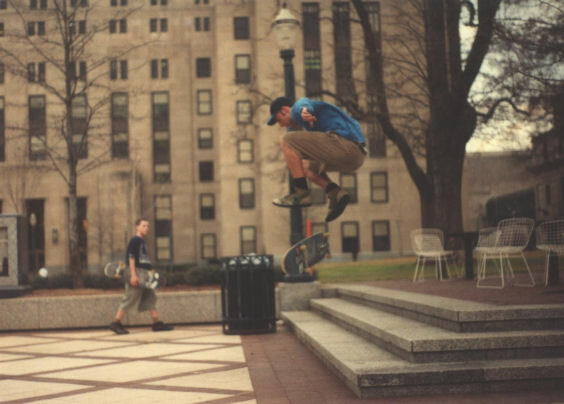 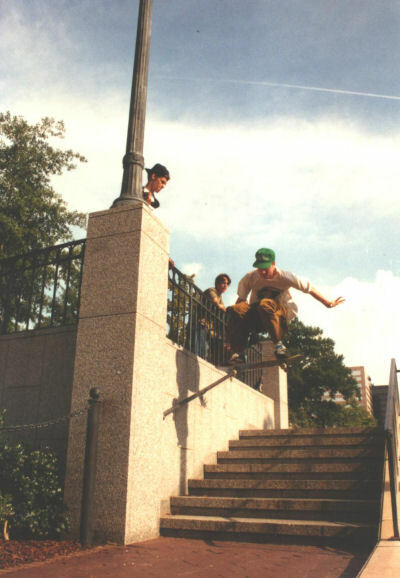 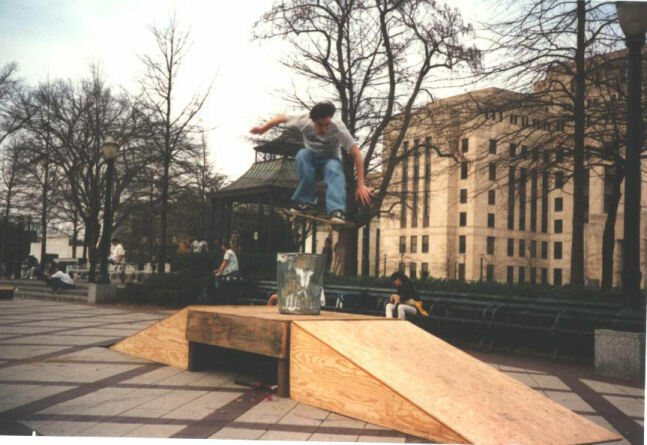 Around 1994-1995, as skateboarding continued to decline in popularity, crime in downtown Birmingham was on the rise, and the city began to crack down on skating in Linn Park, the glory years of Linn Park were behind her. 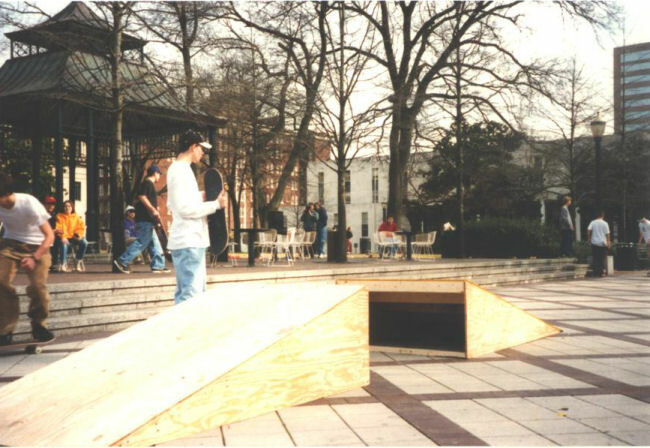 Soon no one skated there unless in passing, quick hit-and-move sessions. 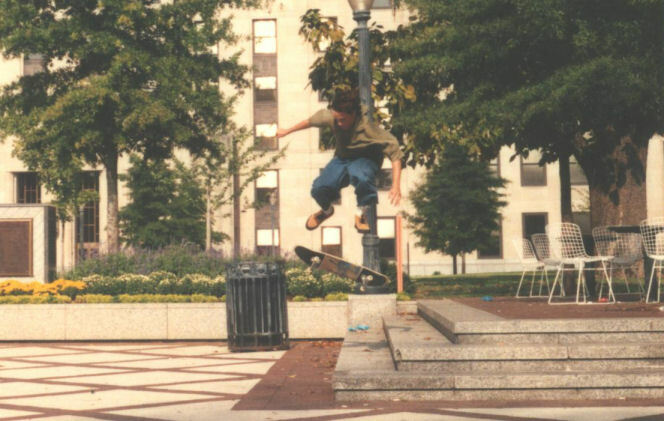 The good old days for Linn Park were just that...old....but there were some great times there nonetheless!